The community’s efforts will help fund agricultural training, education and clean water projects for communities living in poverty. And, in an added boost, all donations to CAFOD’s Lent Appeal, up to £5 million, will be doubled by the UK government up until 12 May. Gemma recalled one of the stories she shared: “Of the many stories I heard, the one that has stayed with me most is that of Martha Mungombe’s. With no access to water in her village, Martha described the gruelling task of walking up to 5km every day to collect water from the Zambezi river. And if this wasn’t challenging enough, when Martha got to the river she faced the terrible risk of being attacked by crocodiles. “Thankfully, things have changed. 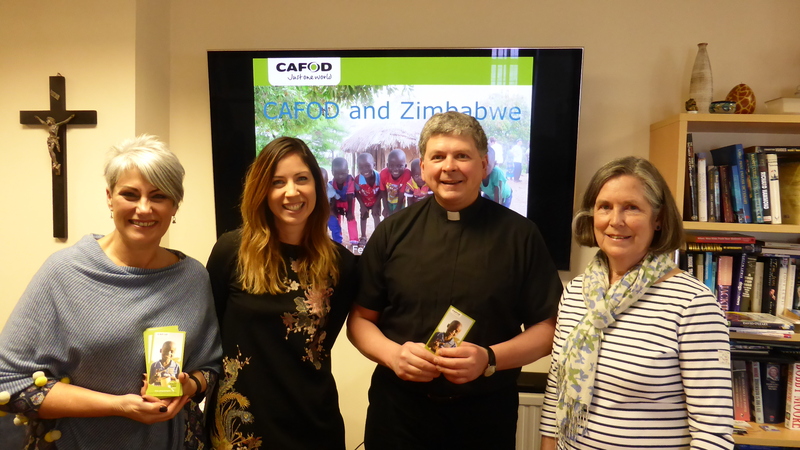 Using money raised by the Lent 2012 match fund appeal, CAFOD have funded a solar powered project which pipes water from the Zambezi river to local villages. This water supply has transformed Martha’s community. 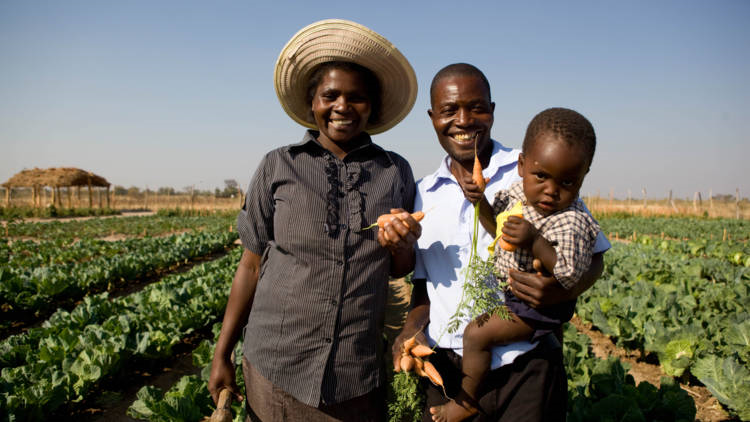 This Lent, the funds raised by CAFOD’s Lent appeal will reach an estimated 245,000 people in Zimbabwe, Zambia, and Eritrea and enable communities to grow a better future by providing safe water, supporting communities to plant vegetable gardens and teaching them about good nutrition and hygiene. Gemma concluded: “Sharing this story in Swansea reminded me of the boundless generosity of people, so moved by stories like Martha’s that they take action. 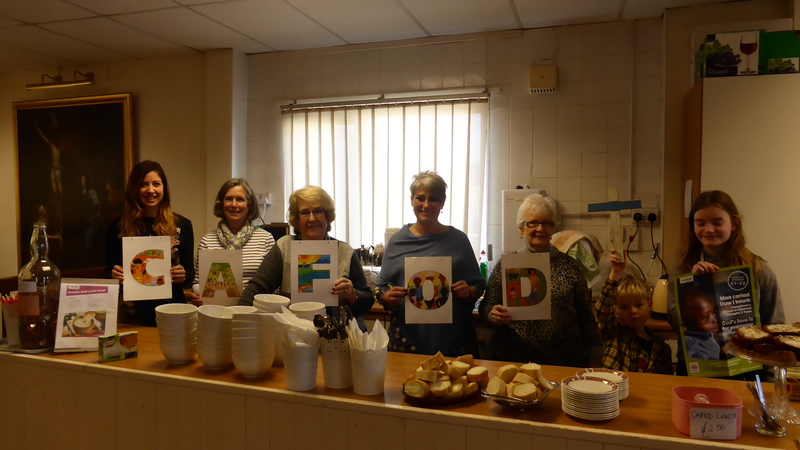 Whether it is to donate financially, or to give up their time and energy to organise a CAFOD fundraiser like the soup lunch in Swansea, people want to help make change happen. The Soup and roll lunch at Our Lady, Star of the Sea realised £90.10 and the Family Fast day collection raised £1344.69. Many thanks for your very generous support. It will make double the difference! This entry was posted in Fast Day, Fundraising, Prayer and tagged CAFOD South Wales, CAFOD supporters, clean water projects, Diocese of Menevia, double the difference, drought resistant crops, Education, England and Wales, Eritrea, Family Fast Day, Fr Mansel Usher, Gemma Salter, health workers, hygiene, Lent 2012, Lent 2018, malnutrition, match fund appeal, Mumbles, Our Lady, Our Lady Star of the Sea, parish volunteers, Sarah O'Kane, solar power, soup lunch, Star of the Sea, Swansea, training on farming techniques, UK Governent Match funding, up to £5 million, Zambezi, Zambia, Zimbabwe by twarwickcafod. Bookmark the permalink.